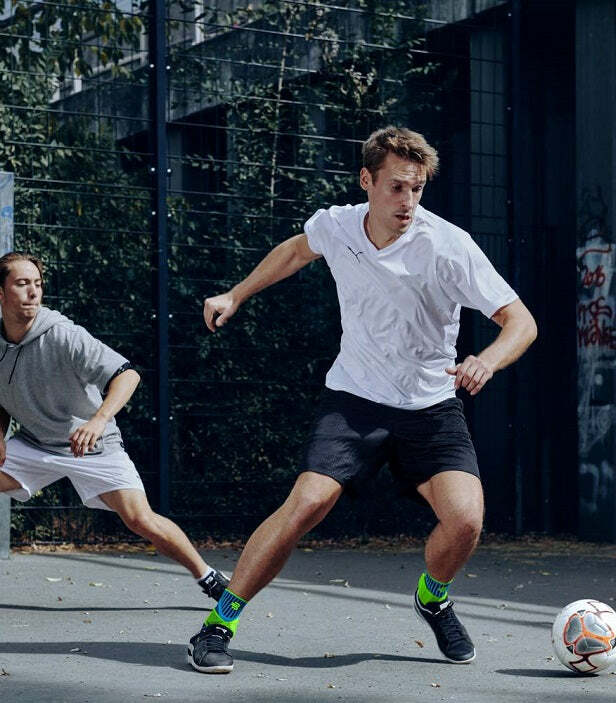 Improve your endurance and reduce the risk of sprains while running and playing sports with the stabilising Sports Ankle Support. 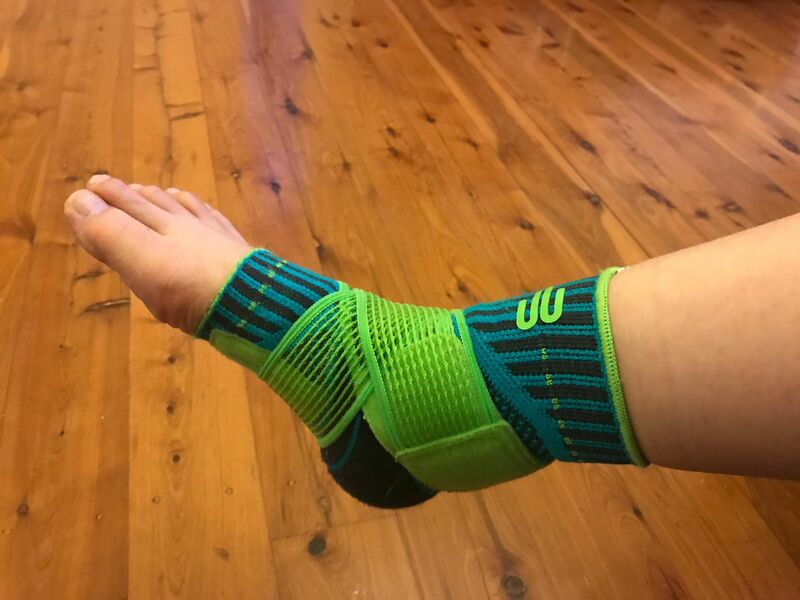 The extremely lightweight and hard-wearing Sports Ankle Support features an innovative taping strap, which supports the ligaments and protects your ankle against sprains, hyper-extension, and twisting. The 3D light and breathable knitted fabric has been engineered with gradient compression to improve your recovery time. 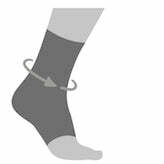 Sports ankle support should feel snug and firm but not constrictive. 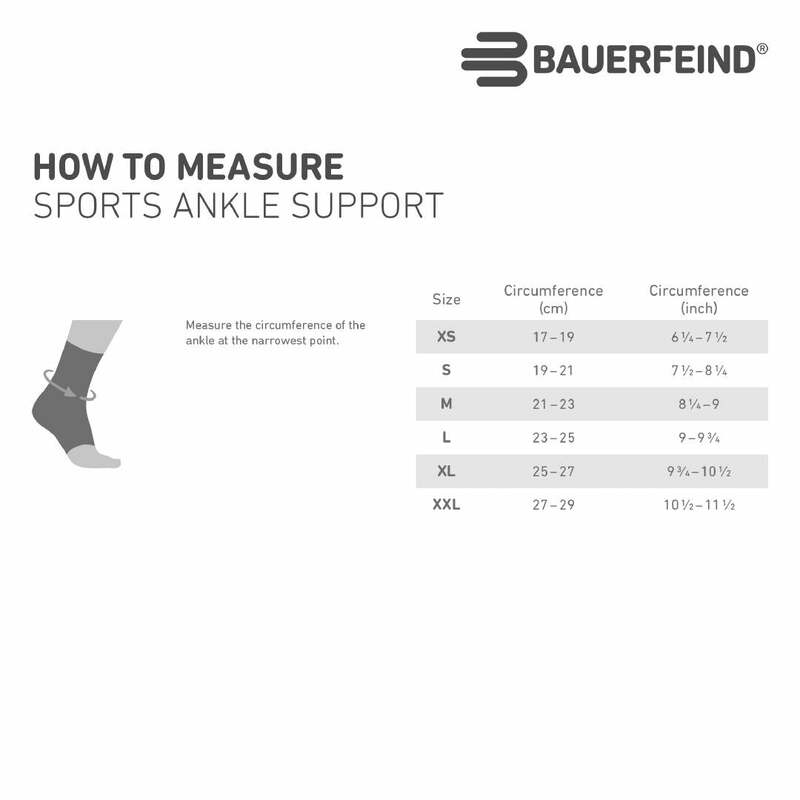 All Bauerfeind ankle braces have a 1 year warranty and qualify for our 30 day size exchange policy. This ankle support far exceeded my expectations! 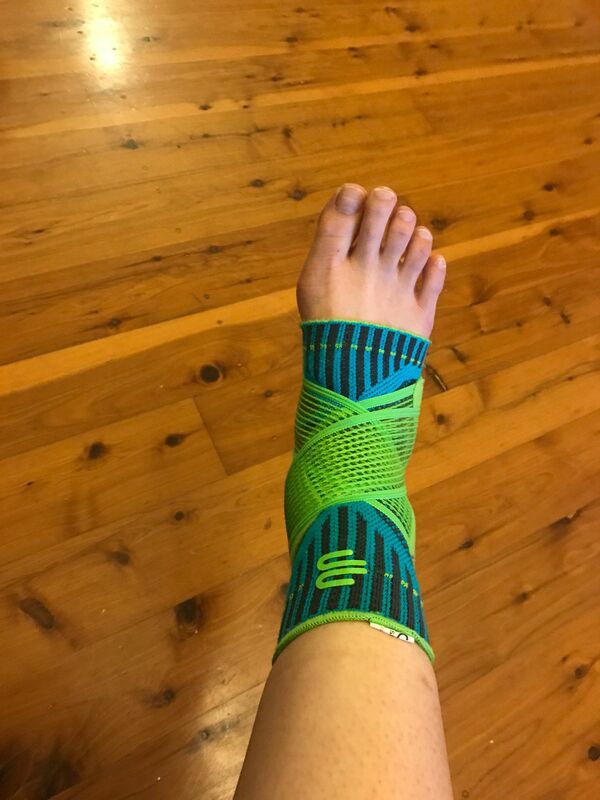 I was sceptical and expecting just a gimmicky bright coloured simple compression sleeve with a strap, and only purchased this ankle support based on blind faith in my physio and her recommendation. Setting: return to sport and injury-prevention phase, following ankle dislocation on background of hypermobility/ligamentous laxity. 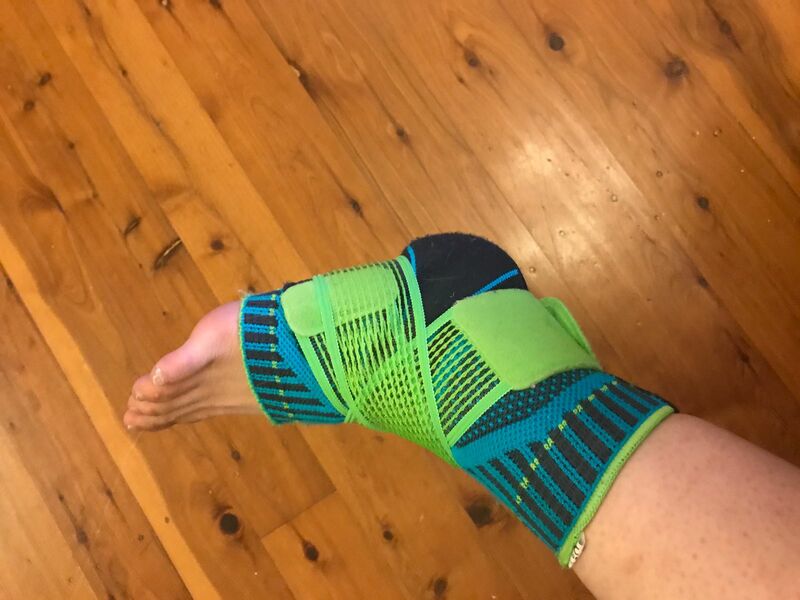 - Best thing: It actually got rid of swelling and stiffness better than 20-30mmHg or "sports" compression socks. 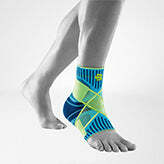 - It resolved ankle soreness from training (jumping, landing, rebounding, twisting etc). - It isn't a stirrup/rigid brace so it won't prevent inversion but it gives me enough proprioceptive feedback to make corrections in time. 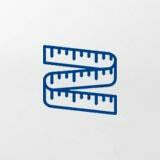 - The bright colour can be distracting and draws attention to the support.